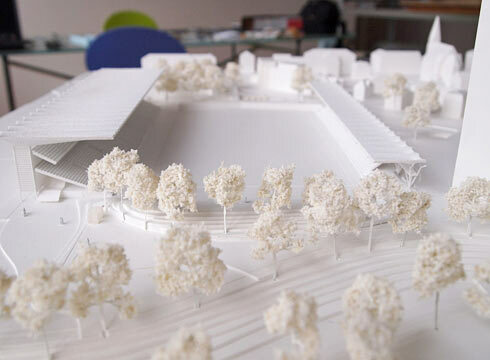 The dominant main stand remains and will be extended as powerful solitaire, bordering the stadium against the green landscape. 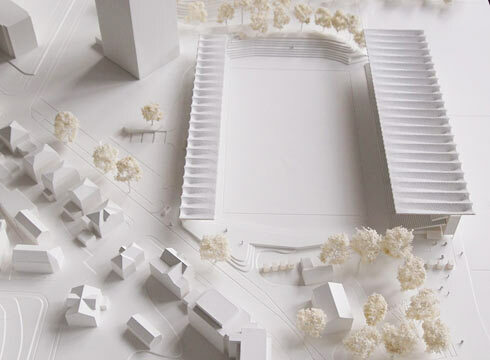 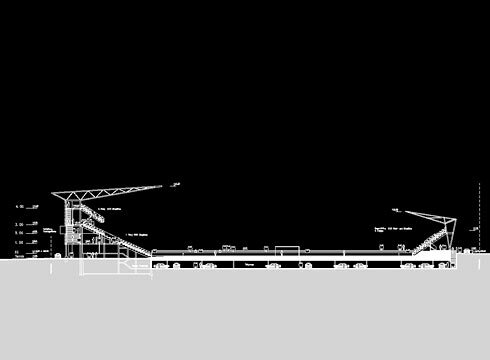 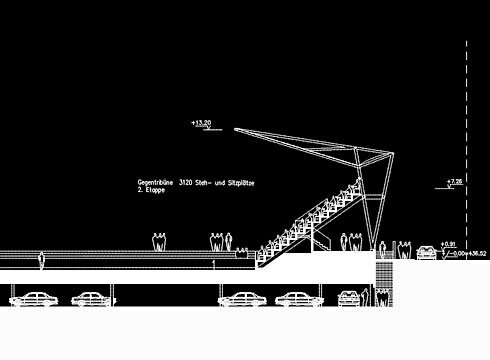 Opposite the main stand a new stand is proposed, dealing with the heterogeneous surrounding properties and completing the stadium. 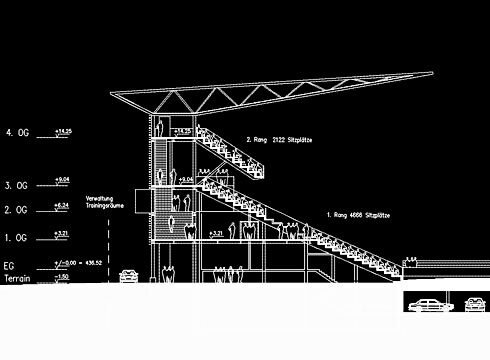 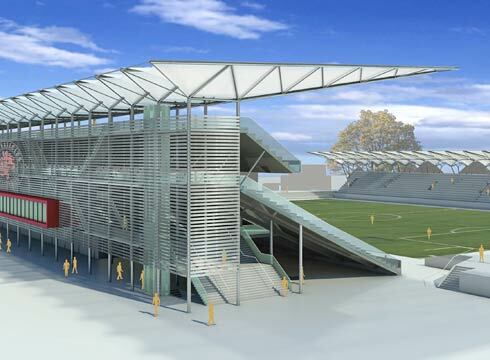 The main stand will be extended to the maximum along the field. 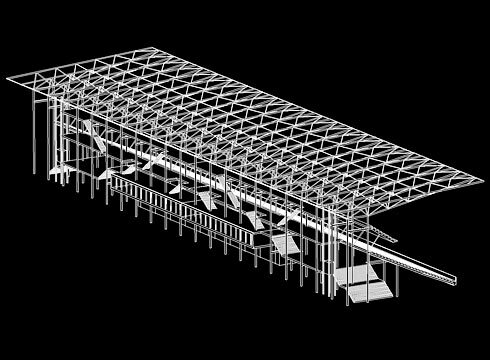 The new bearing structure is situated behind the existing building. 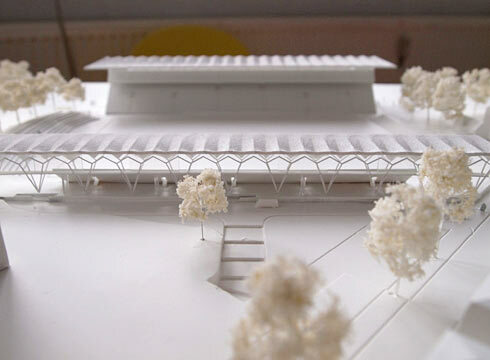 The old roofing will be replaced by a translucent membrane roof, covering all 6.800 seats. 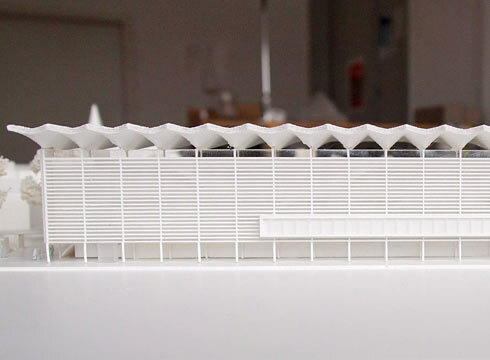 The optimized steel structure is clad with a membrane from PTFE-glass. 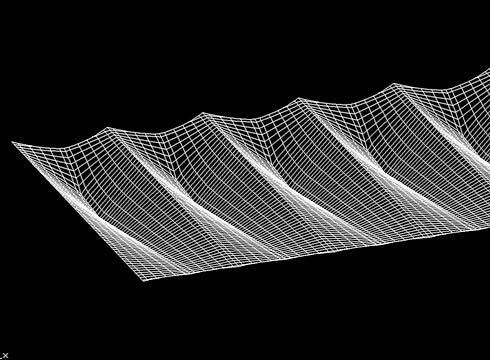 Competition Team: Alfred Rein, Nikolai Kugel, Friedrich Grimm, Günther Leonhardt, Andri Cajos.